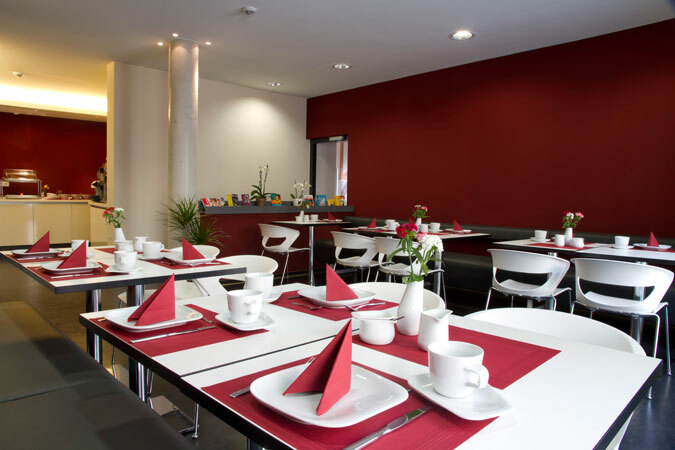 We, Brigitte and Thomas Reinsch, the native citizens of Jena would like to fascinate people with our city Jena by our lovingly leading hotel. As an employee of the tourist information Jena and as a musician of the Jena philharmonic orchestra we met a lot of guests, who were impressed by our city, its young flair and by its in Germany uniquely represented Mediterranean landscape. The great enthusiasm of the city guests inspired and motivated us to build on our property in the historic city centre a hotel, equipped with elegance and charm. 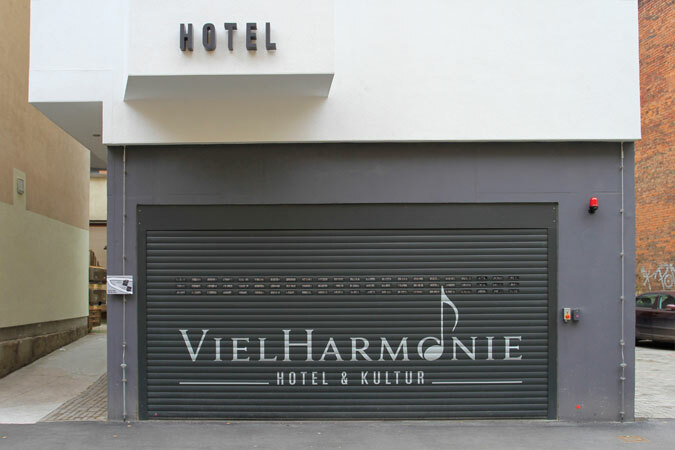 “VielHarmonie” is a small individual hotel. Divided in two separate buildings it is located directly in the city centre in the Bach street 14. 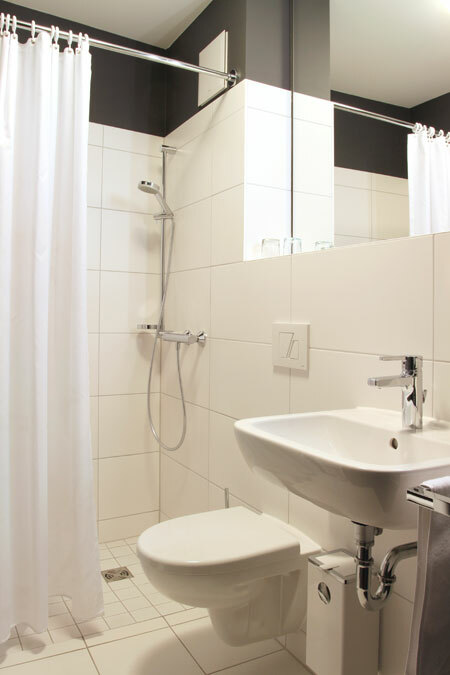 It is a cute place to stay for city visitors, cultural tourists as well as for business travelers. 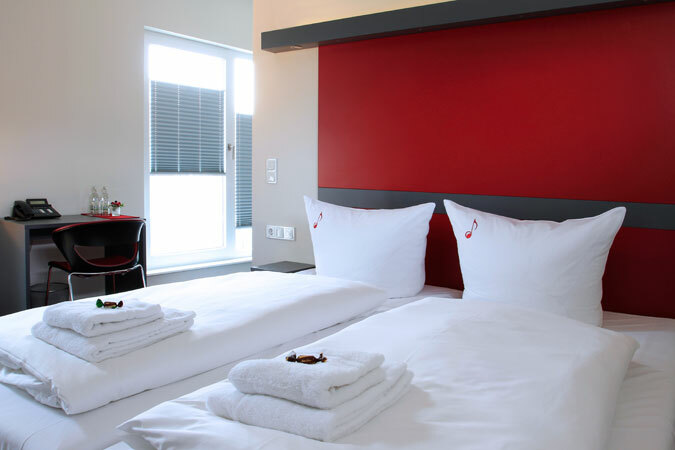 In our hotel you can enjoy recreative nights, clean rooms and a vitalizing breakfast with excellent service and a suitable prize. 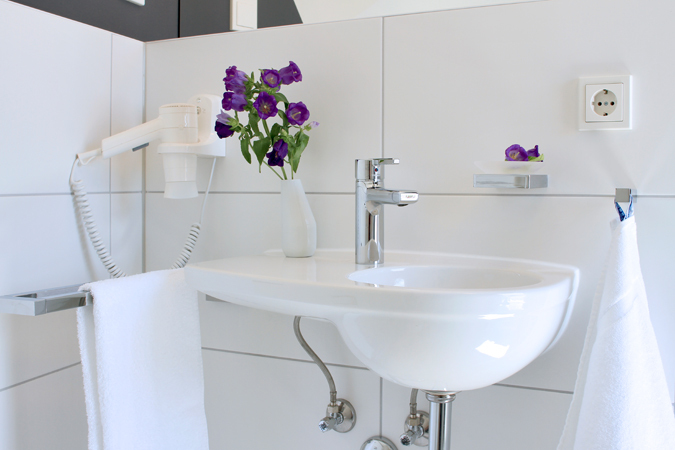 Moreover, it is our mission to enliven the soul of the house by our desire to pay attention to small details. Our room with terrace, balcony and the fantastic view to the rooftops and landscape of Jena. 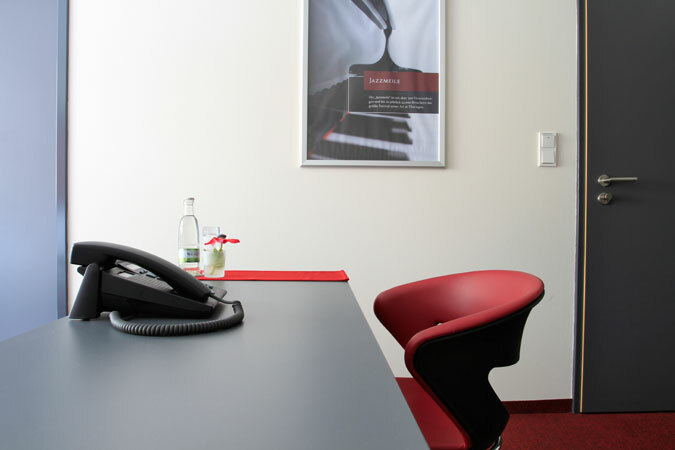 The prices are stated per night and room without breakfast. The bathroom in the room with terrace. Our hotel provides 19 rooms for 29 guests. 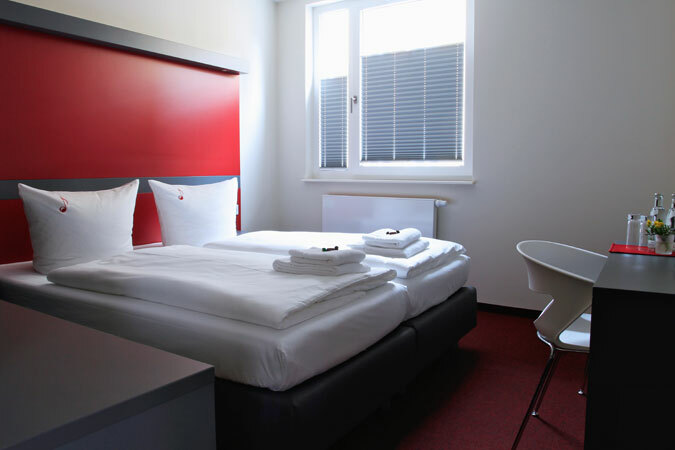 In the main building in the Bach street 14 you can find on each floor: one spacious double room, one single room with king size bed and one single room mini, which is called “Chile room” due to its shape. The jewel of the building in the Bach street is the attic room, equipped with two terraces and with the unique view to the city centre and the mountains. 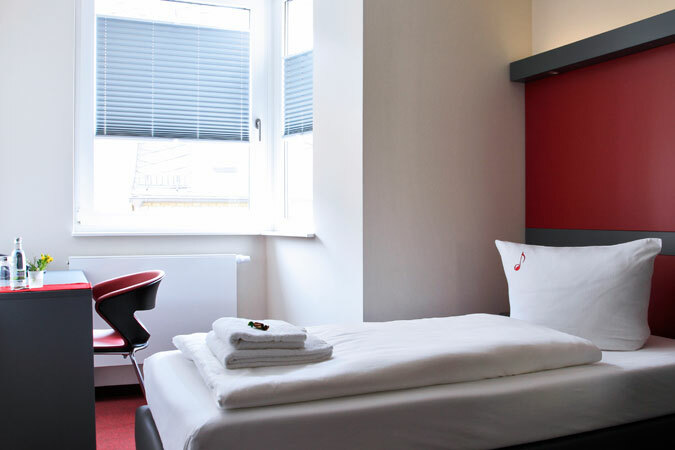 The rooms of the second building in the Kraut narrow street 15 are also equipped stylish and modern. On each floor you can find two rooms: one double and one single room. Using the external stairs you can find a cosy apartment with a small terrace and a kitchen inside on the fourth floor of the building.